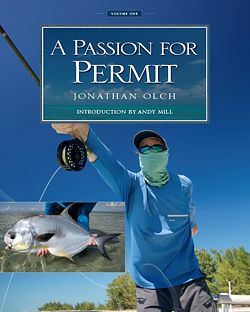 A limited edition of only 30 copies of A Passion for Permit by Jonathan Olch has been created for the serious saltwater flats angler. Volume One of each two-volume set is signed and numbered by the author on a distinctive vellum sheet bound into the front of the book. 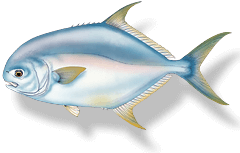 This valuable limited edition is handsomely bound in blue leather with the title and a silhouette of an Atlantic permit stamped in em-bossed metallic silver. A satin book-marker ribbon complements each volume. Perfect for the collector of important angling books. Also makes a superb gift. No more will ever be produced. 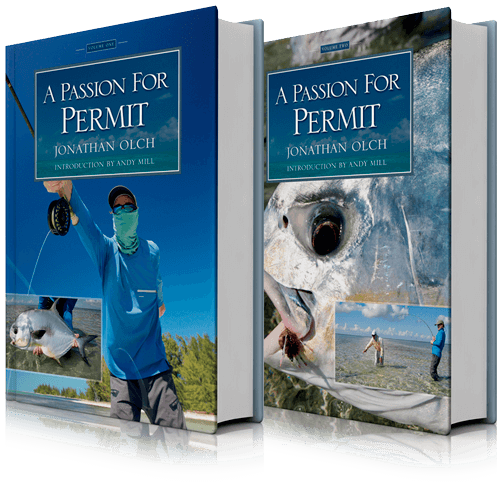 Wild River Press is also pleased to announce that 20 permit conservation editions of A Passion for Permit are being published. All are signed and numbered. These are identical to the limited edition except the vellum signature sheet is signed by the author as well as Andy Mill, Aaron Adams, Bob Branham, Dustin Huff, Steve Huff, Nathaniel Linville, Chris McCreedy and Winston Moore. 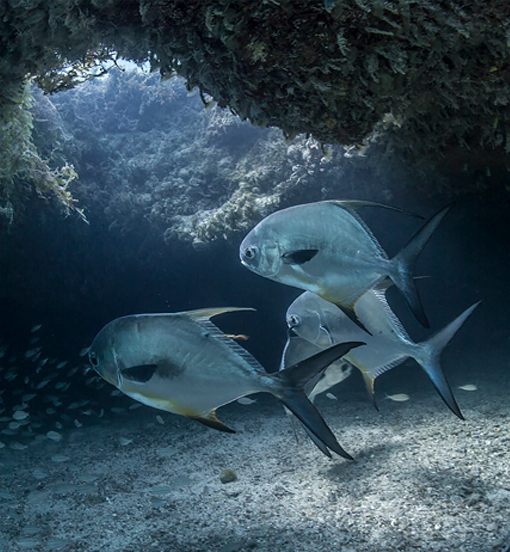 Priced at $1,000 per set with $500 contributed in your name or anonymously to Bonefish and Tarpon Trust’s Project Permit. PO Box 13360, Mill Creek WA 98082. 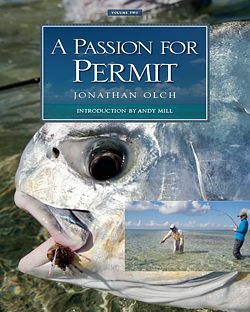 For collectors of fine angling books, we have created a handsome leather-bound Limited Edition of A Passion for Permit. The books are signed by author Jonathan Olch and numbered 1 through 30. Each limited edition is $500 for the two-volume set. Shipping is extra. 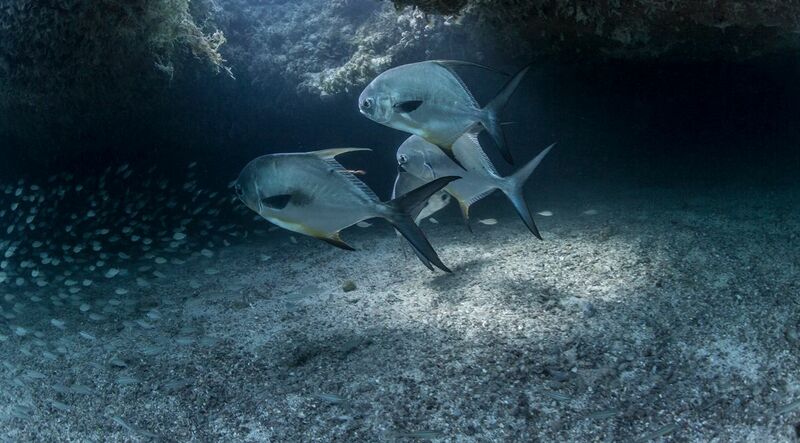 This is a splendid gift for your favorite flats fisher. Or treat yourself.